Although there are many safety precautions you can take to reduce the likelihood of a motorcycle accident, there is no way guarantee that you safety precautions will prevent an accident. This is because there will always be hazards on the road, including vehicle driver’s that do not look for motorcyclists or are distracted. If you are a motorcyclist, you need to consider the eventuality that you may be in a motorcycle accident, and that you may someday need a motorcycle accident lawyer in Riverside to help you with your claim. If you’re riding your motorcycle in or around Riverside, and you are involved in an accident, you should seek legal counsel to help you recuperate any losses that you have incurred including medical bills and property damage. 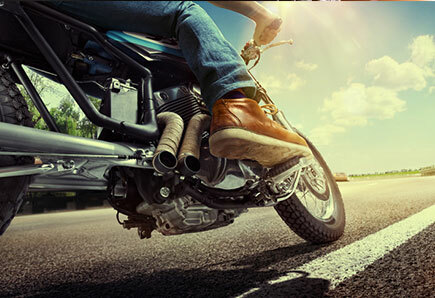 Regardless of whether you are partially at fault for the collision, or not at fault at all, having an attorney on your side will be invaluable when it comes to advocating for your rights, understanding the law as it pertains to motorcycle use on the open road , and making sure that receive the compensation that you deserve. Choosing a motorcycle accident attorney in the Inland Empire area can seem difficult, especially with so many large surrounding cities and counties, such as Ontario, Temecula, Corona and San Bernardino. If you live in Riverside, or if the accident occurred in Riverside, then there’s a law firm nearby that is an excellent choice for you because the attorneys the firm staffs are llicensed motorcycle riders. Having an advocate available to you who knows and understands motorcycle law is going to be invaluable to you. You should strive to work with an attorney who understands the ins and outs of motorcycle law, and who is going to serve as an advocate for you through every step of the legal process. An attorney from Inland Empire Motorcycle Law can guide you through the investigation of the accident, filing of necessary claims, any litigation that arises, all while ensuring that you receive the compensation you feel you deserve. It is likely that you will have legal questions throughout this process and hiring a motorcycle accident attorney in Riverside will help assuage your concerns and answer your legal questions. You should not have to go through this process alone, not when there are experienced attorneys available to advocate for you throughout the process. It is beneficial to hire a motorcycle accident attorney in Riverside. Pick up the phone today and call us at Inland Empire Motorcycle Law to find out how our law firm can help secure you a more favorable outcome in your case. Simply dial (951) 290-3664 to learn more about our firm, our attorneys, and the benefits that we can offer you and your case.